22.00: A lot of coaches carrying migrants from the islands are waiting for many hours at petrol stations along the highway to Idomeni. 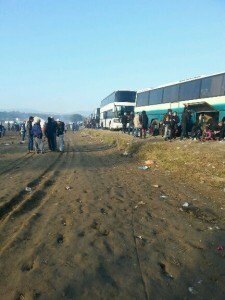 Greek authorities seem to engage more and more in regulating the access to the Macedonian border. 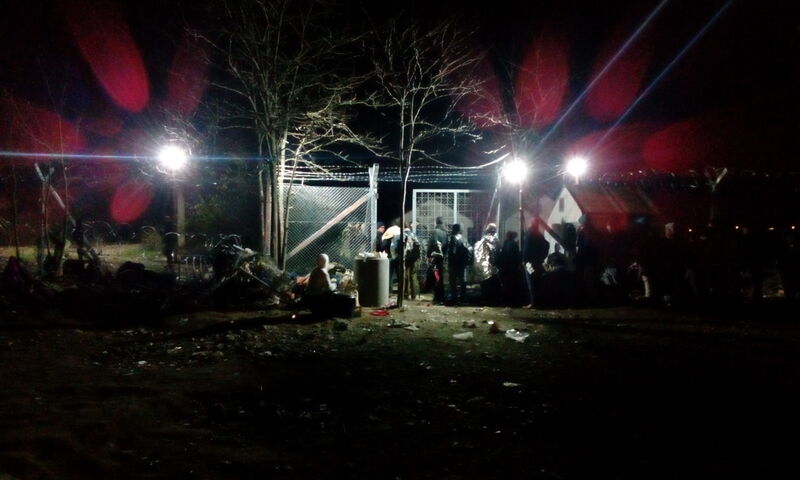 In Idomeni the border zone and the transit process is now totally under police control. We will continue to report tomorrow. 17.00: UNHCR and Police drive around the camp and tell people to return to Athens as there is a free train waiting at the station. For now only 70 have entered. Others are determined to stay: „I will be the last person here“, shared one migrant with us. One UNHCR person declares that the railway tracks will be cleared tomorrow. The border has been closed for three hours and is open again now. Around 600 people are queuing in front of it. 9:30: Approximately 20 coaches arrived during the night. These people had to wait at the buses. 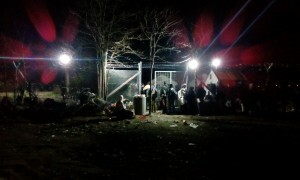 Others queued in front of the border the whole night. This morning Creek Police spread leaflets in different languages again to those ones camping on the rail tracks, stating that they have to leave within three days.